Here are a few home lawn care items to handle during November in Arizona. Rake and Remove dead leaves. Fertilizing your sod lawn promotes root development. While it might look like not much is going on with your lawn during the winter months, what you can't see is what's going on underneath the soil. 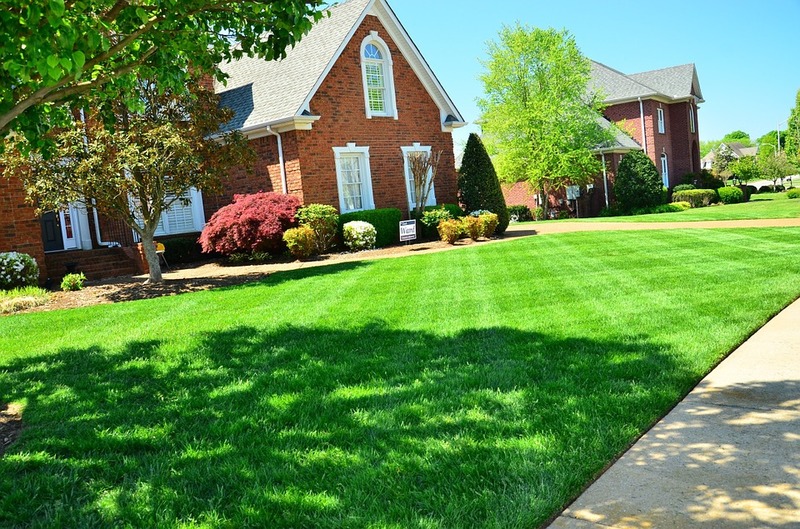 By promoting root growth in the winter, you are helping your spring lawn that will be growing in a few months. Get rid of low-lying areas that accumulate water. Just shovel out the area, add more soil to make it even, then put grass back on top and water it well for a couple of weeks to make sure roots attach to soil. If you have any trees in your yard that have been losing their leaves, it's important to rake them up and remove them from your lawn. While it's not as much of a problem here in the Southwest US, we do still have some trees that respond to the seasons. If you don't remove dead leaves from your lawn, your grass and soil will not have enough oxygen for optimal lawn health. Dead leaves make for great compost material, too. If you don't have a compost, check out our article How to Build a Compost Bin. This To-Do list will help you get your lawn beautified just in time for outdoor fall festivities. Finally, since we live in Arizona where the weather is a bit more forgiving in the winter, many people choose to keep their lawn all year round. It's easy to do by over-seeding with perennial ryegrass. Happy fall from the team at Evergreen Turf!